The new WeatherLink Mobile App 2.0 are available to you for FREE. Download iOS version at Apple Store and Android version in Google Play. Yes. Simply click on "Looking for old WeatherLink? click here" located under the Sign Up bar at https://weatherlink.com homepage. If your station is in a remote area with a good cellular connection, you can use Vantage Connect, a solar-powered data receiver/cellular modem using CDMA or 2G/3G technology. Learn more here. You will be prorated for the duration of your WeatherLink Network Annual Subscription with an upgraded Pro Tier full of advanced features (Data, Chart, Mobilize). Yes. One WeatherLink account can have several devices registered. Note: Each device can be registered only under one account. 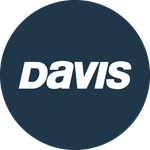 If you own a Davis station and you registered your device on weatherlink.com before Nov 28th 2017, your data and station are still registered on WeatherLink.com 1.0 (the “blue” page). All WL 1.0 users and their devices will be migrated to WL 2.0 in Spring 2018. What is the update frequency of weather data to WeatherLink.com 2.0? Can I keep my online data private and visible only to me? Yes. WeatherLink.com is a website accessible via any major web browser (Chrome, Safari, Firefox, also IE and Edge). I&apos;m an Envoy8X user, can I connect to the new WeatherLink.com 2.0? No. Envoy8X was designed to communicate with a specialized data transfer utility, which is not capable of sending data to the WeatherLink Cloud. Can I access WeatherLink.com 2.0 before I get my weather station delivered? As an existing WeatherLinkIP user, do I need to pay for advanced features? How do I share my data with my family, friends or neighbors? Why can’t I register new devices in the WeatherLink.com 1.0 “blue page” anymore? All devices registered for the first time after the launch of the WeatherLink.com 2.0 platform will be automatically reporting to this new database and website. My console displays "INCOMPATIBLE LOGGER". The rest of the screen is blank. What is the Problem? How do I communicate directly with my WeatherLinkIP data logger? How many devices can I register under one account on WeatherLink.com 2.0? How do I create an account on WeatherLink.com 2.0? Simply visit https://www.weatherlink.com , type your email into the field, click &apos;Sign Up&apos; button and follow the instructions. Can I view my data on both WeatherLink.com 2.0 and the WeatherLink Mobile App 2.0 at the same time? Yes. WeatherLink.com 2.0 and the WeatherLink Mobile App 2.0 are designed to work together. How will I know my data was successfully migrated from the WeatherLink.com 1.0 to the new 2.0 platform? Will I be notified? We will send you an email notification when your data is about to be migrated and also when it has been fully migrated. Can I download my data from WeatherLink Cloud? Yes. As long as your computer, WeatherLink PC Software and internet access are turned on 24/7. How do I share my data with Weather Underground, NOAA, GLOBE? How far into the past will I be able to view and chart my data on the new WeatherLink.com 2.0? On a device with Pro status you will be able to view and chart all of your historical data. Can I still use the WeatherLink Mobile App 1.0? No. With the introduction of our new web portal, Weatherlink 2.0, it is required that you also use the new WeatherLink App available in the Google Play store and Apple App Store. Is there a cost to share data or view others&apos; data? I forgot my WeatherLink.com username and/or password. How can I get them back? To reset your password, click on the password link in ’Forgot username or password?’ section located on the sign-in page. How is the WeatherLink Mobile App 2.0 different from the WeatherLink Mobile App 1.0?